Wisdom of Life. 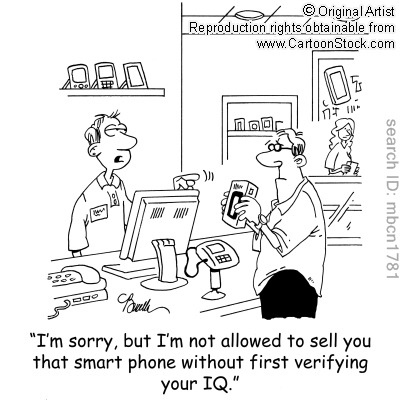 : Intelligence or smart? Everyone likes to be intelligent and smart but when you ask what are intelligence and smart, not many could really explain and define their meaning. Funny isn't it? How could one be intelligent or smart, when you find it so difficult to tell the differences. In simple explanation... Intelligence is the ability to learn and smartness is the ability to apply what we have learned. If you still could not understand, I think you don't have both either. Personally I think there are two types of intelligent people. The first type has high IQ to learn but they are selfish, reserve, boastful and like to criticise and condemn others. The second type with similar brain, are usually kind hearted, willing to share, humble and love to compliment and appreciate others. The upper is only intelligence, whereas the latter is smart. If you have both, then you are wise. This is the best enlightenment question u asked me on our 1st met up! I always used this question to ask n enlighten my friends and many of them really cant tell the differences. Thanks Robert for enlighten us! Long time no see. I'm to see you on my blog. Would be nice if we could have a coffee chat. Ah! Is good to know you are sharing my thoughts. Only smart people share willingly and smart people are usually richer than the intelligent one. Looking forward to see you in KL. Ok?